There are two systems for Fire containers that help accelerate the Reserve opening process after the main cutaway: RSL and DRD. 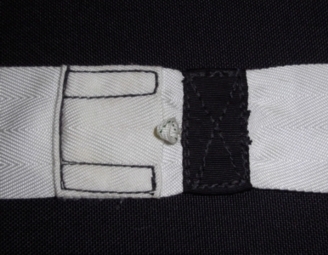 In case of cutaway, RSL system attached to the right main riser pulls out the reserve pin from closing loop. Reserve PC jumps out to the airstream and starts to drag the freebag out, lines come out and, eventually, reserve canopy opens. DRD system (Direct Reserve Deployment) is one kind of MARD (Main Assisted Reserve Deployment) – these systems use the cutaway Main as a huge pilot chute to speed up Reserve opening). As the base for DRD the structure of RAX Jerry Baumchen, USA, was used. The handle of DRD has 2 risers. One of them is used to open the container of Reserve chute. 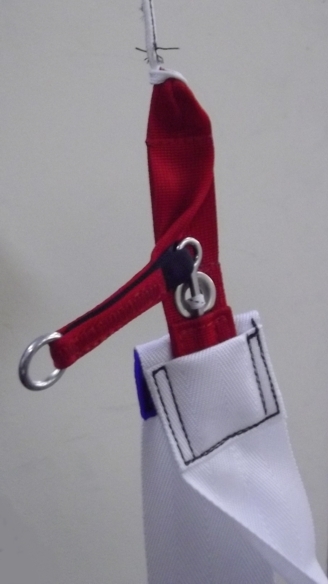 The other attaches the handle to the bridle of the Reserve with a special trigger. 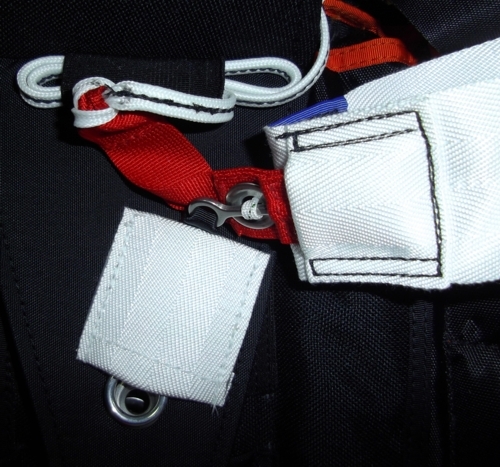 Trigger inserts in the pocket on additional DRD flap. The ring on the end of the trigger does not allow it to shift / fall out from the pocket during installation /operation, because reserve closing loop inserts through it. 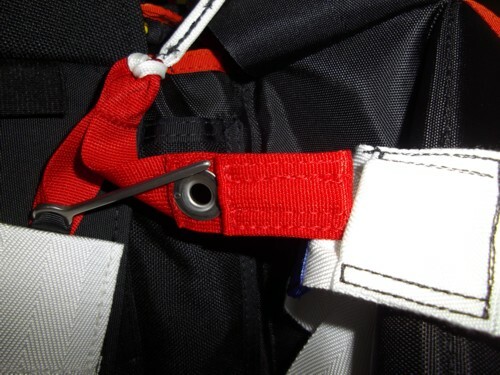 In the case of cutaway the flying off Main parachute with the DRD lanyard, that is attached with one of the risers to the right riser, pulls out the pin of the Reserve chute, and with the second riser, that is attached with the trigger to the bridle of the reserve, pulls out the reserve deployment bag. Thus the lines are released, and then the canopy of the reserve chute is released and filled with air. 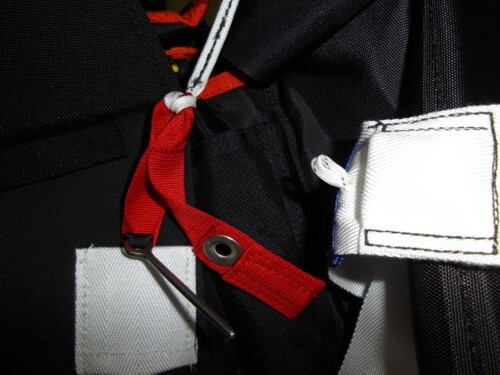 In the case of total failure and hand opening of Reserve container (or activation with AAD) the pilot chute of the Reserve comes out, the trigger is unhooked, DRD remains on the container, and the pilot chute lifts the reserve deployment bag out from the container to progress the opening. RSL/DRD is installed to the right riser as the total majority of risers breakage registered since early 90ies happened to the left risers. 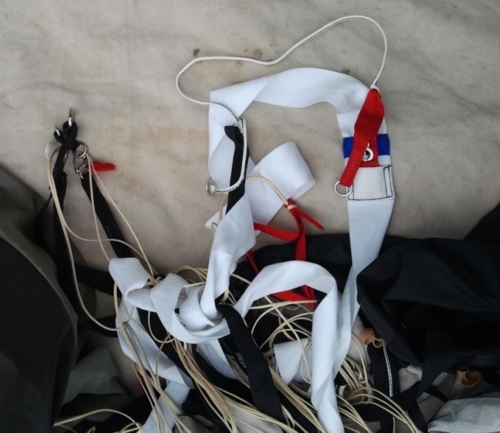 This happens because parachutists usually watch the pilot chute in the moment of opening which leads to body distortion and to asymmetric loading of the risers of the harness system. 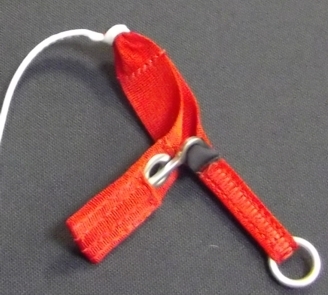 Collins Lanyard is the integral part of our systems RSL and DRD that accelerate the opening of the reserve chute. It was invented in late 90ies when high number of incidents with tore risers of tandem systems and a several fatalities as a result of opening the Reserve with RSL into semi-filled Main canopy (hang by only one riser’s group) were registered. To solve the issue we developed a lanyard that connected the right riser with RSL and a yellow cable that closes the left riser. 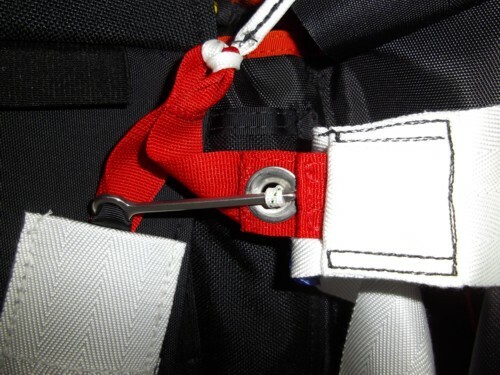 Thus, in the case of the right riser breakage with RSL attached it will unhook the left riser to guarantee the opening of the Reserve chute into the clear sky. For Fire container this is resolved with a loop thrown over the yellow cable that closes the left riser. 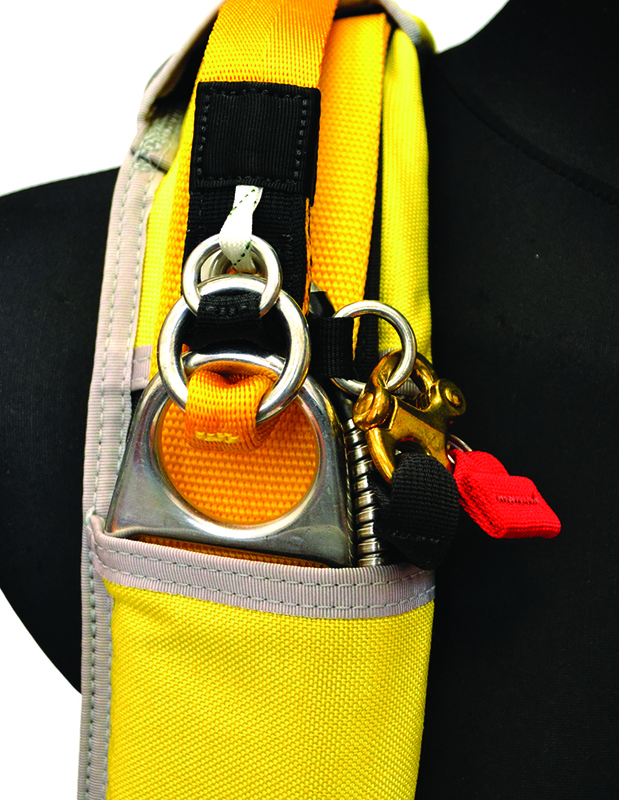 The loop is put on the yellow cable under the yoke where a cut is made in the flexible hose of the cutaway lanyard of the Main. You don't need to search reserve deployment bag, everything in one place. Opening on 800 m., attempts to untwist to 600 m., cutaway, pulled out cutaway handle - and found myself already ander opened reserve. Finnish performer (200+ jumps) on Vector Fest in Czech Republic. Main Odyssey 120@1,6. The result of fast packing - opening with line twist. Cutaway in rotation. DRD worked as designed to. Experienced skydiver. Sapphire 129, loaded well. Linetwists, fast spin, pulled cutaway handle and found myself under an inflated reserve. Did not have time to even grab the reserve handle. Sunday, first run, main is Skipper 170, normal opening, than probably due to poor pack job(still learning) - linetwists with spinning, tried to kick out of it, cutaway at 650 meters (container with DRD) At 610-620 meters I was under a PD Reserve 160. It was deployed before i pulled my reserve handle) Also, all stuff (main, freebag and reserve PC) flew towards the end of the field and landed on a bush. Just came and picked it all up.